Check this page each week to hear the latest inspiring podcast program from the Christian Science Publishing Society. In these 4 podcasts, people describe how they have found regeneration and healing through prayer as taught in Christian Science. To listen, click on the red arrow above, or click directly on the item you want to listen to. To receive an email alert when a new episode is loaded, join our mailing list. 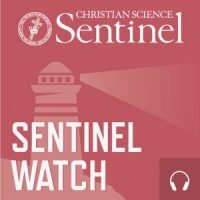 Tony Lobl has been writing and broadcasting on Christian Science for three decades. 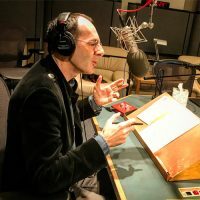 Beside written and recorded pieces regularly appearing in Christian Science publications he has also had pieces published by national and global news outlets and has been interviewed by radio stations and podcast producers on three continents. Tony found Christian Science in his early twenties and became a Christian Science practitioner in 2004. He and his wife Jenny live in London.